MapableUSA.com: The goal of the Mapable USA Podcast is to provide a resource to showcase and promote businesses and individuals seeking to raise money via equity crowdfunding. 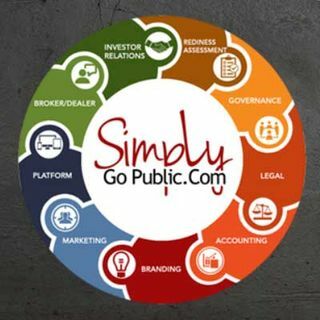 On our inaugural episode, we brought in Ron Sukenick and Dr. Robert Needham, principles of Simply Go Public to go over the fundamentals of crowdfunding and how using their consultative services can guide you step by step through the crowdfunding process. Crowdfunding sounds easy, but in reality, creating that crowd is a ... Maggiori informazioni full time job which many business owners just don’t have the time or resources to pull off. But that doesn’t mean it can’t be done. Listen to this episode to learn Dr. Needham’s 3-prong process on how to develop a compelling message, build your crowd, how to get that crowd motivated to view your offering, and why a good financial pro-forma is crucial to getting interested prospects to invest into your project to make it a successful one.